From Park Güell I made my way toward the heart of the city. 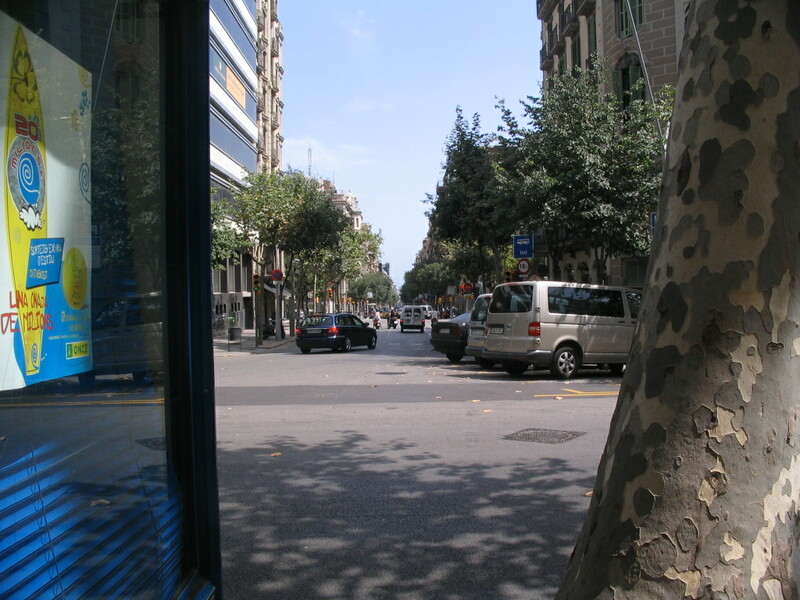 First I zigzagged through Gràcia, originally a separate town from Barcelona, subsumed into it once the Eixample's development bridged between the two. 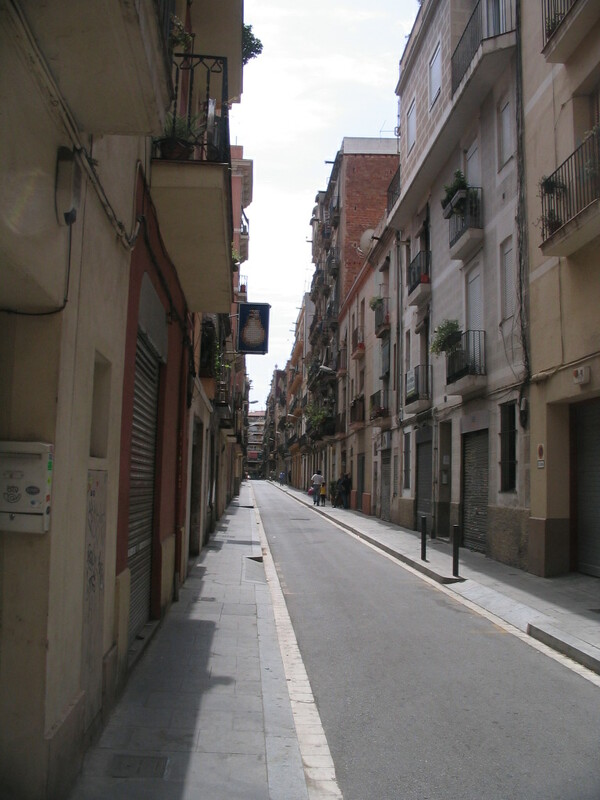 Like Poble-Sec, Gràcia's streets are mostly straight but more irregular than those of the Eixample. 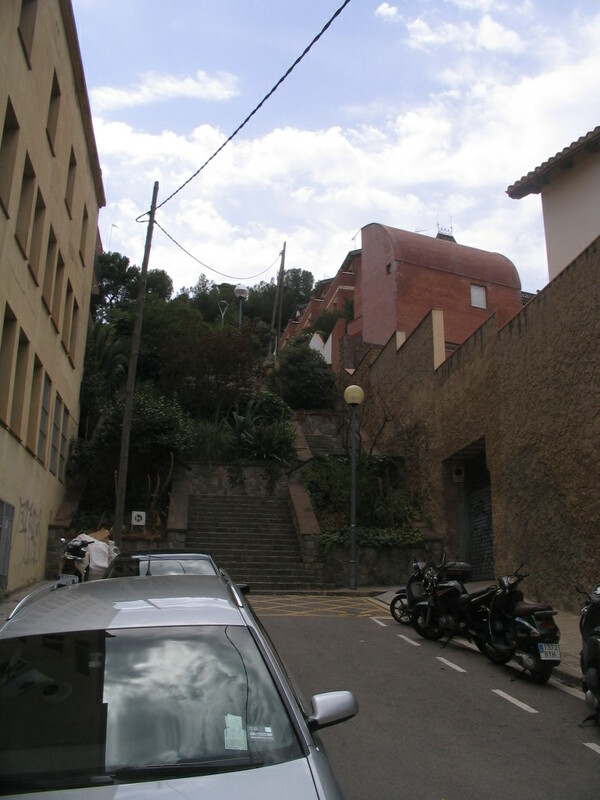 Heading down Carrer de Larrard, a look to the southwest up Carrer de Mercedes, up to a scoop roof and a wing of the Park beyond. 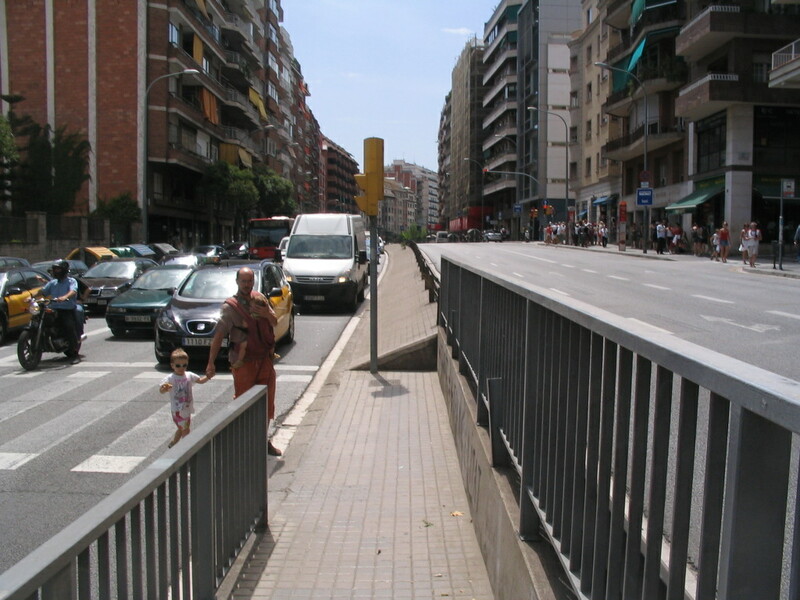 And then a look southwest up the next street down, Rambla de Mercedes, also terminated by a grand stair. A well-kept terraced topiary going up the next street down from there, the... Passatge de Mercedes. 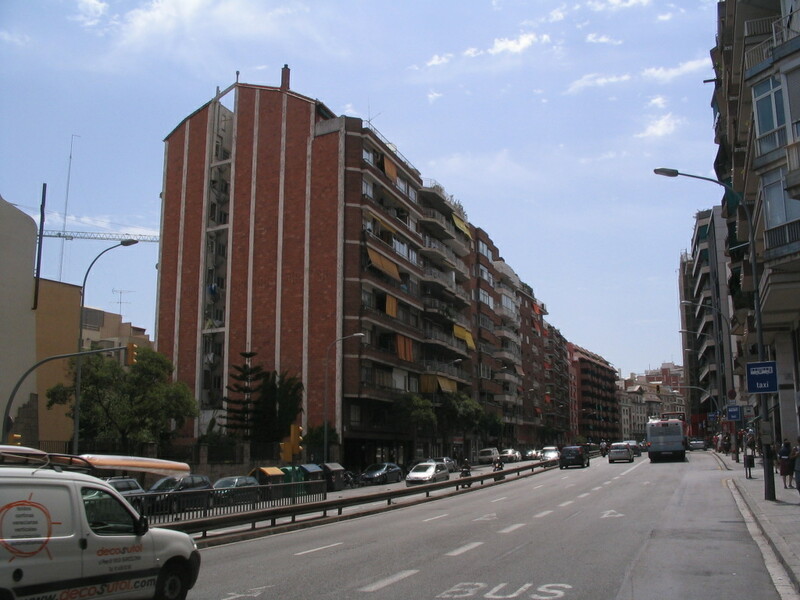 Carrer de Larrard terminates at the highway Travessera de Dalt. 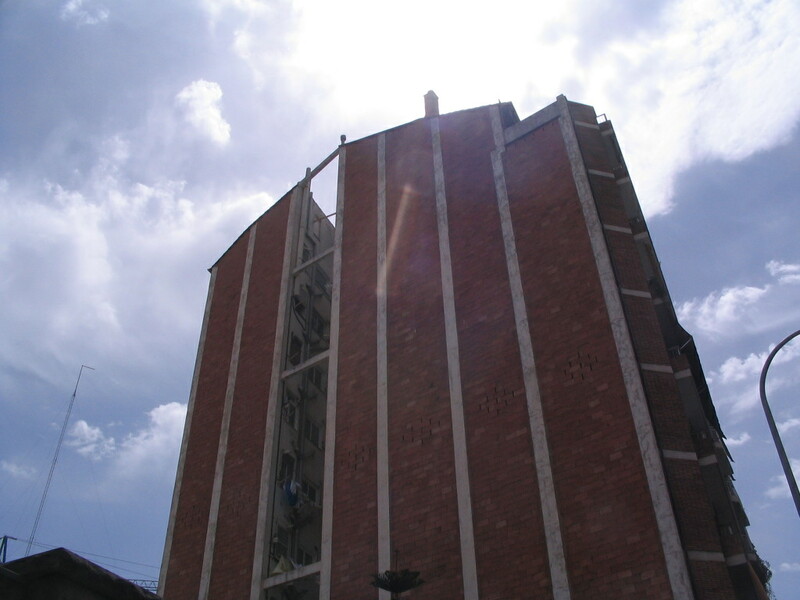 Just across from Larrard is this building with a very tall central lightwell open to the side. I wonder if the road noise gets funneled in there. Crossing the Travessera was not to be trifled with, so I used the fortified crosswalk. Note the elevation change between the lanes. 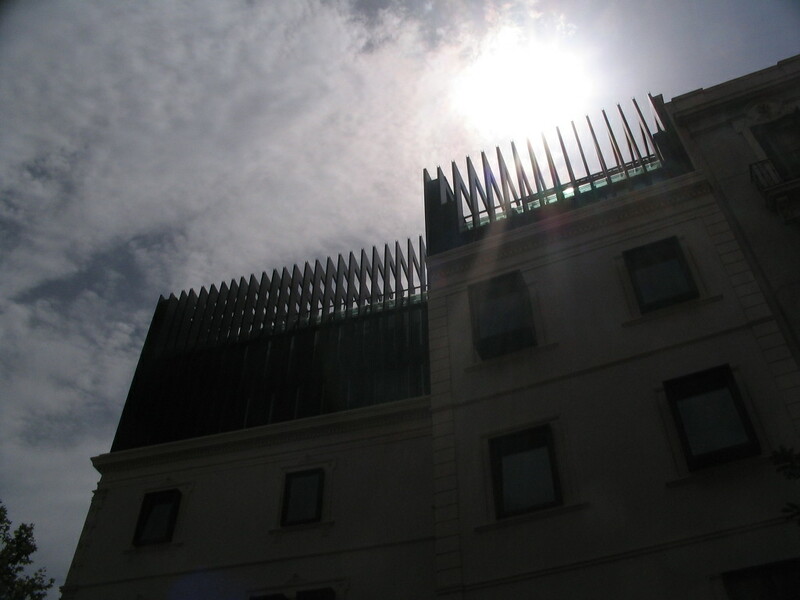 The lightwell block towering toward the sun. 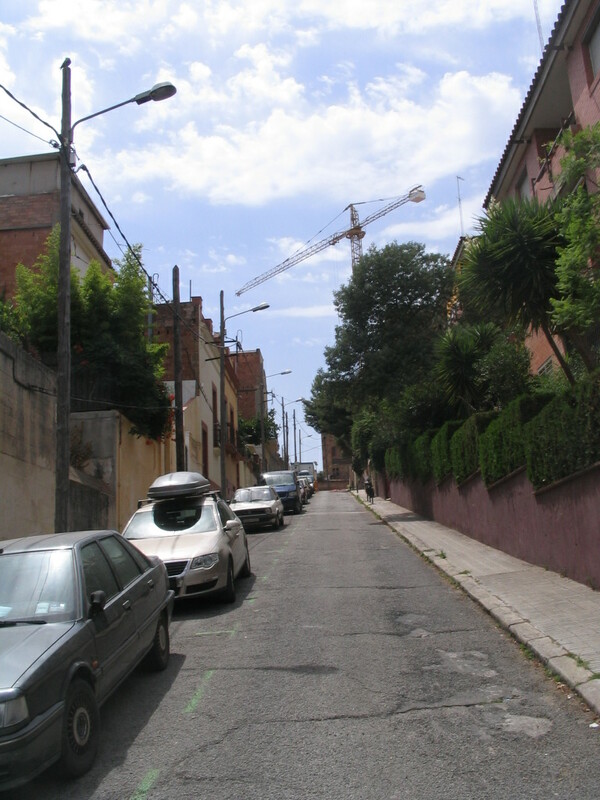 The narrow, pale Carrer de Sors descending from the Travessera. 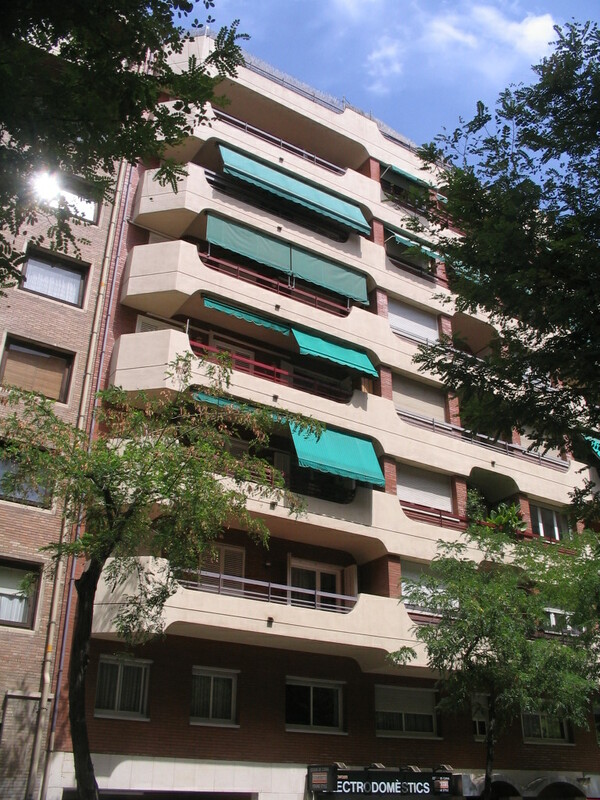 Undulating balconies at Dalt and Carrer de l'Escorial. On Carrer de les Camèlies just off l'Escorial, more massive end walls, with interesting inlay textures on the lefthand one. Palladian pidges on the church of Sant Miquel dels Sants, on l'Escorial between Carrer de Cardener and Carrer de Mossèn Masdexeixart (quite the name). 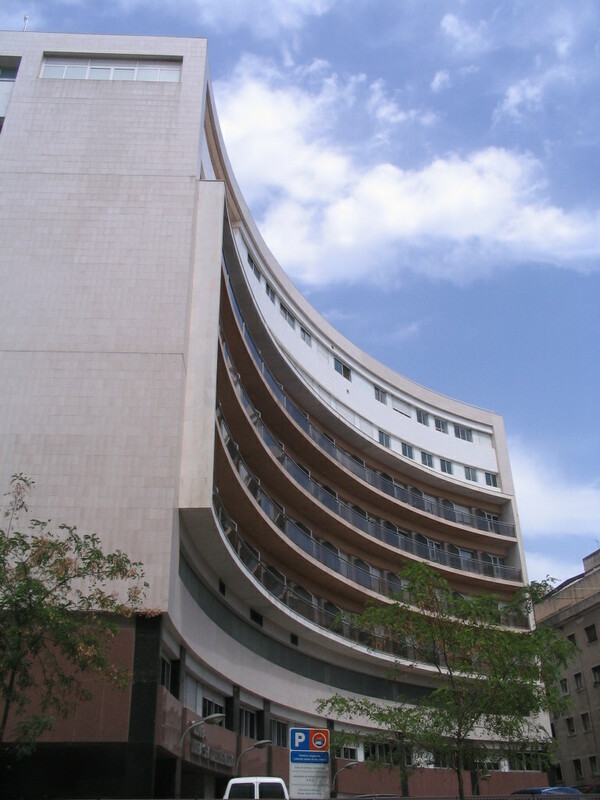 It is a deceptively new building, completed in 1963. 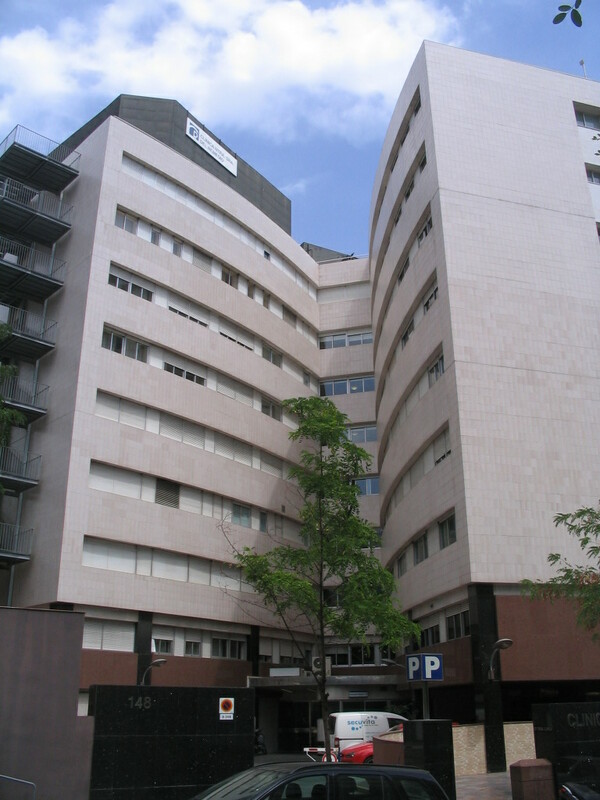 A convex complex, the Clínica Nostra Senyora del Remei, on the corner of l'Escorial and Passeig d'Amunt. 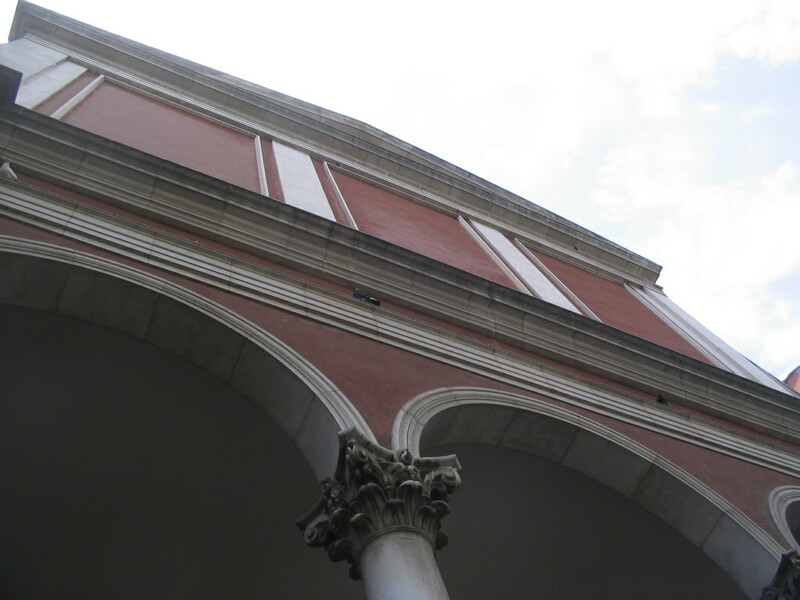 And a, well, concave complex, on the corner of l'Escorial and Carrer de Martí. Surprise! It's just the other side of the Clínica. 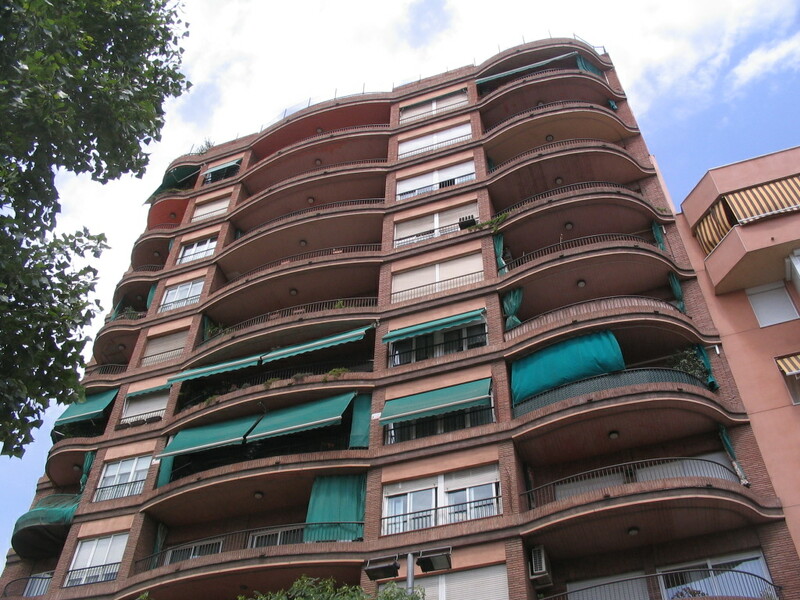 These are some weird sci-fi balconies, for real. 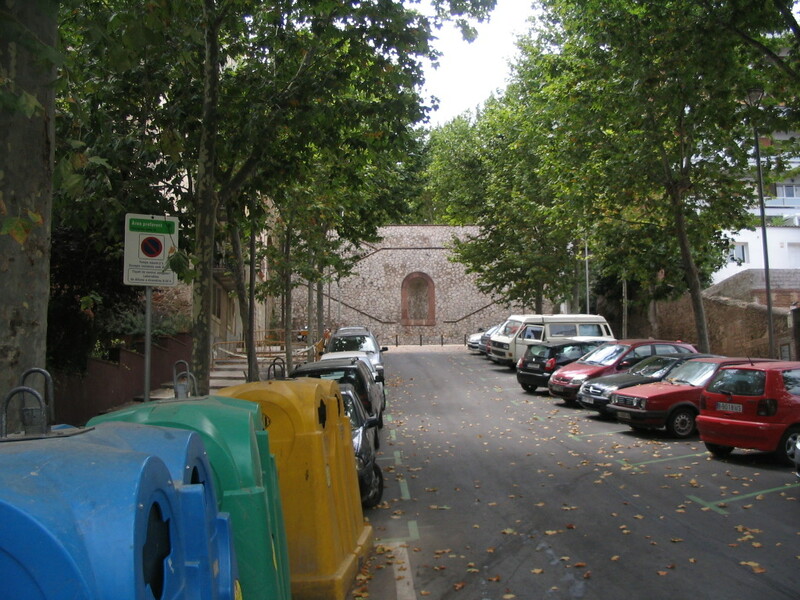 This is further down l'Escorial between Carrer de l'Encarnació and Carrer de Sant Lluís. 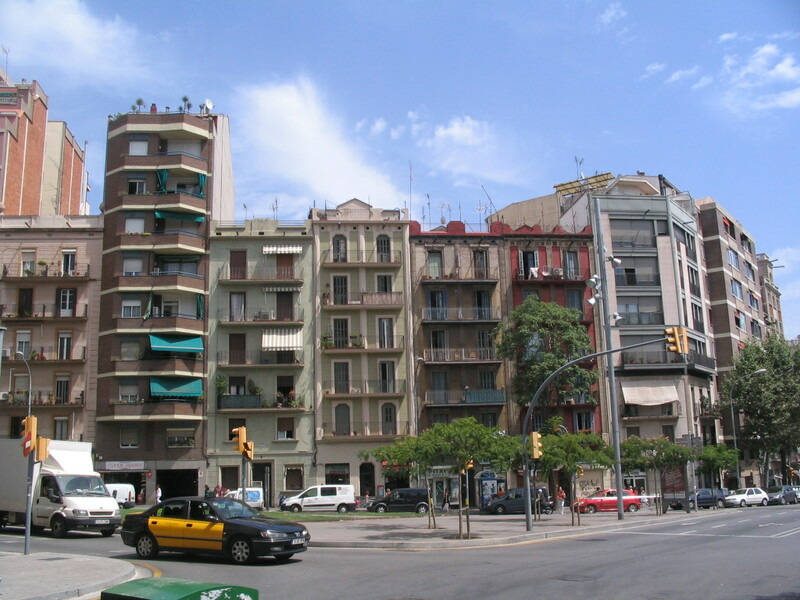 At the corner of l'Escorial, Carrer de Bruniquer, and the larger, diagonal Carrer de Pi i Margall, is the Plaça Joanic, split between this triangular area and a square one to the west. 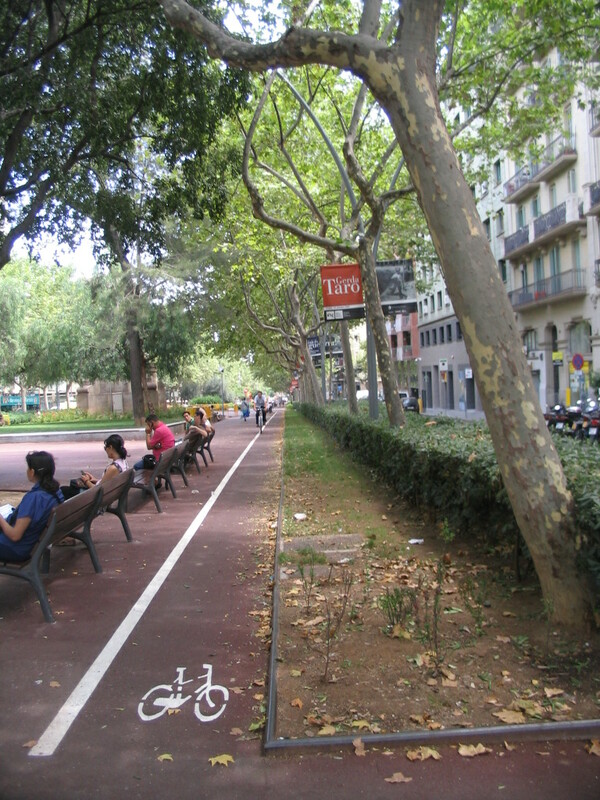 One block to the south is the start of the Passeig de Sant Joan, one of the wide tree-filled avenues of the Eixample. 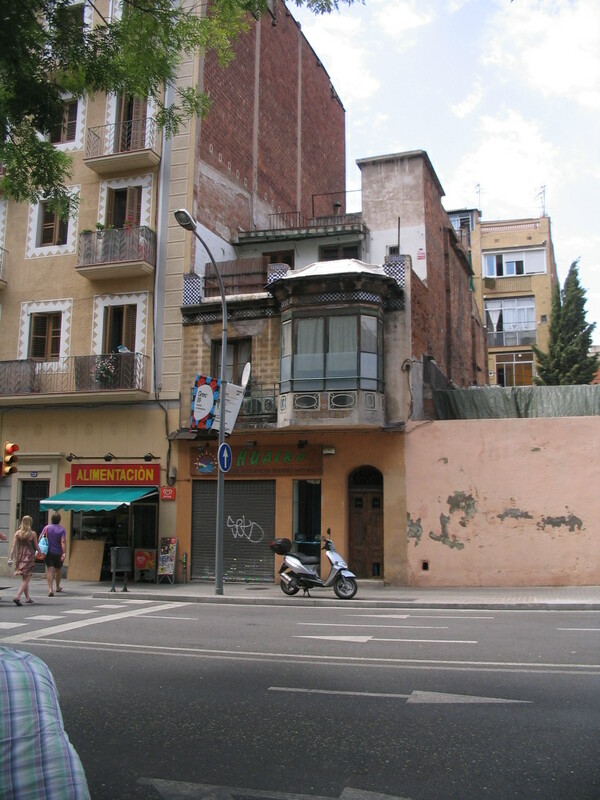 On Travessera de Gràcia across from the top of the Passeig, a subtly ornate, curious little building dwarfed by its neighbor. 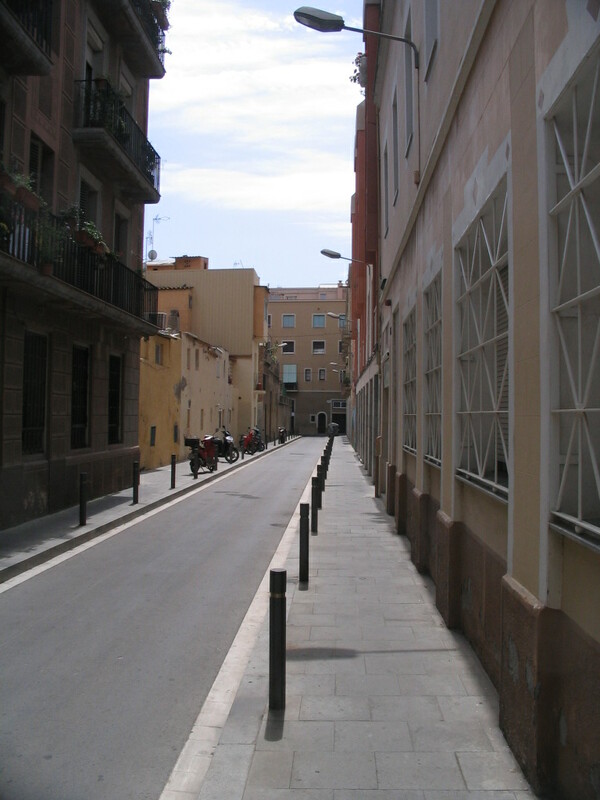 The small but regimented Carrer de Banyoles. 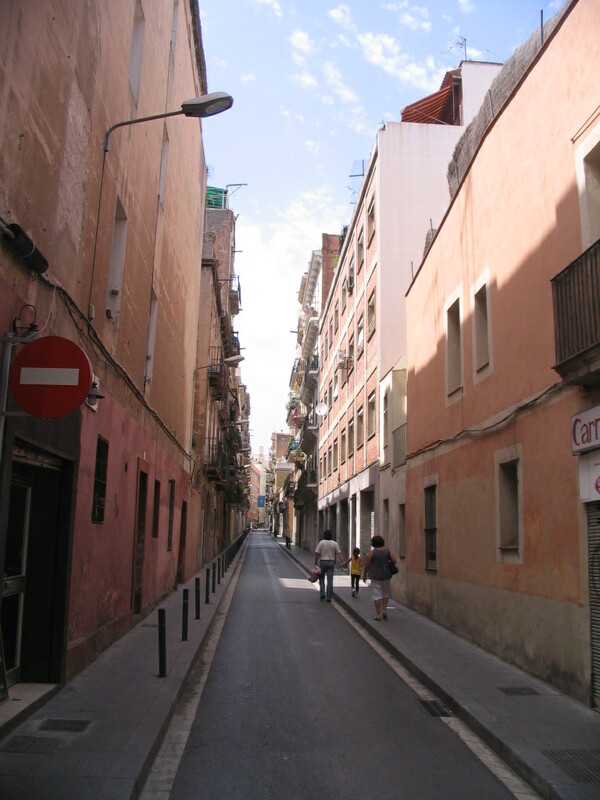 The sun's azimuth aligned over Carrer de la Llibertat. Carrer de la Fraternitat looking peachy from the corner of Llibertat. 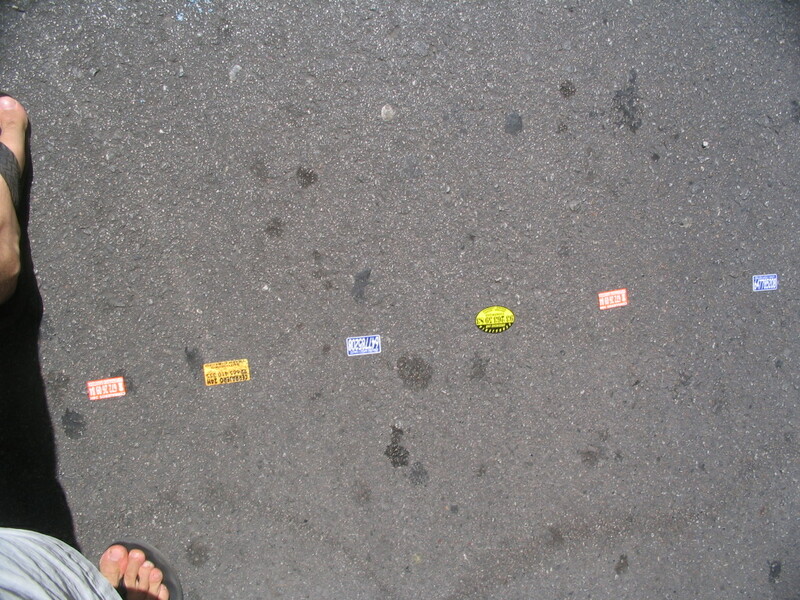 Close to the west end of Llibertat, an extraordinarily mystifying sequence of phone-numbered labels in the street. 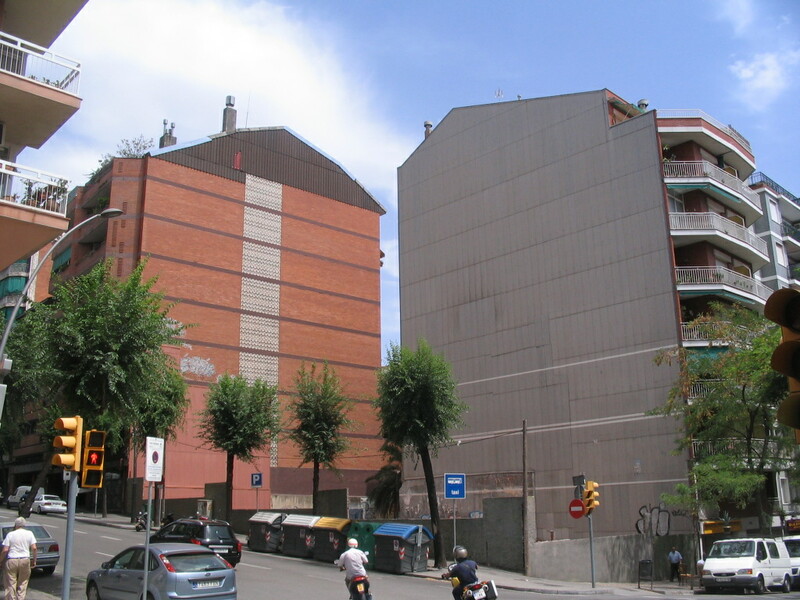 A serrated insertion of new over old at the Clínica Olivé Guma, at the corner of Carrer del Torrent de l'Olla and Carrer de Còrsega. 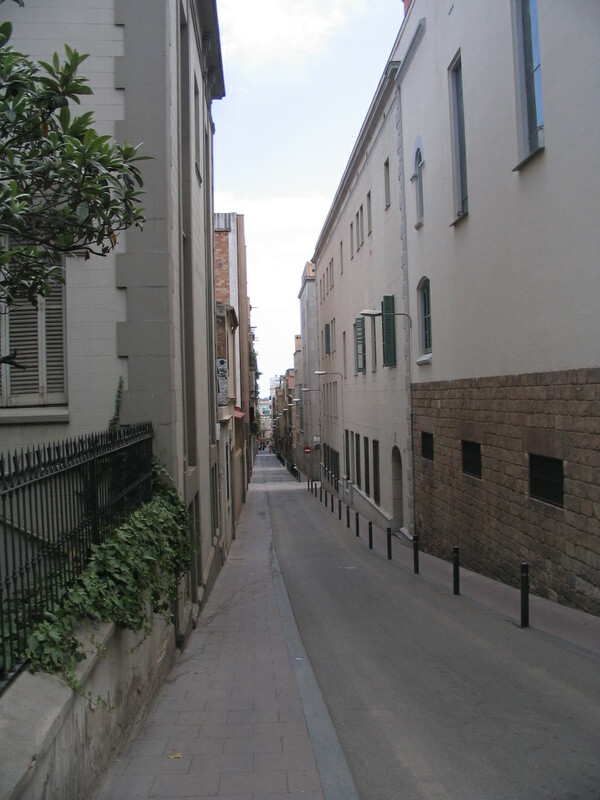 Espying the long straight flat view down Carrer de Pau Claris from across Carrer de Còrsega.